Antonia Herrera invited Nosey to come back with her to San Diego and live with her at her place. Re: “Antonia’s Last Words,” cover story. Sweet! Made it Las Vegas with no plan to get home. Sweet! Hooked up with her former boyfriend for a couple of days. Sweet! Smoked meth with her boyfriend and friends. Sweet! Ready to blow the balance on her EBT to get snacks and pay for her way home, because that is what public assistance is for. Not so sweet and not uncommon enough: Another moron drug user on the public dole getting whacked and thankfully receiving a way out of their useless life. The gene pool only became stronger on the day Sweet Antonia received the hot lead of justice. 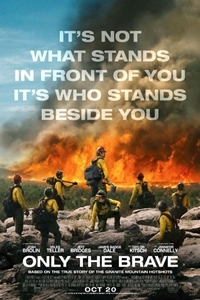 Re: Only the Brave, movie review. What kind of idiotic review is this? Calling a true story where 19 firefighters died “false heroics” is absurd. What kind of beta male wrote this nonsense? Grow a pair, Scott. When read in context, “cashing in on these false heroics” refers to the filmmakers’ simplification of real-life events in order to make bank on tragedy. Think of them as (SPOILER ALERT!) 19 dead movie characters, not actual firefighters.